Modernly versatile. Delight your senses and enjoy family meals around a modern industrial style table that everyone will love. 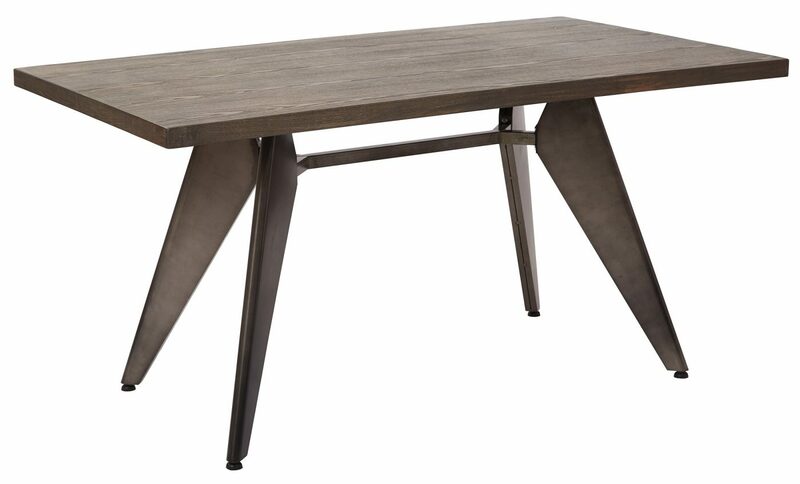 This versatile design fits perfectly with a variety of home d?cor styles from modern farmhouse to industrial loft with its matte gunmetal base and rustic wood table top surface. Make meal time special with the Astoria Metal Table by OSP Designs.